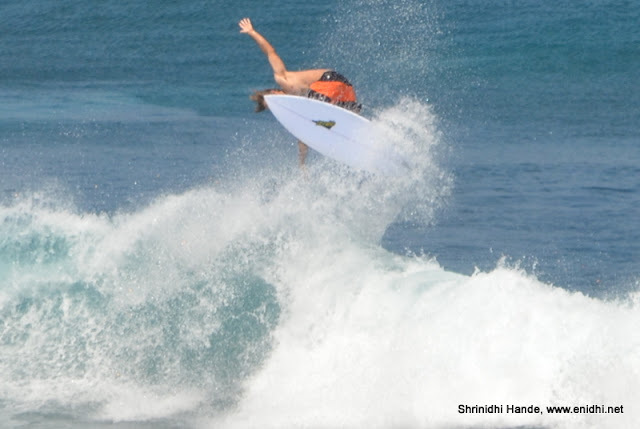 Surfers try to stay afloat the waves for as long as possible, trying to balance their body and the surfboard against the waves. Few would fall off within seconds, few managed to hold on for a minute or so but eventually the waves would win all the time. 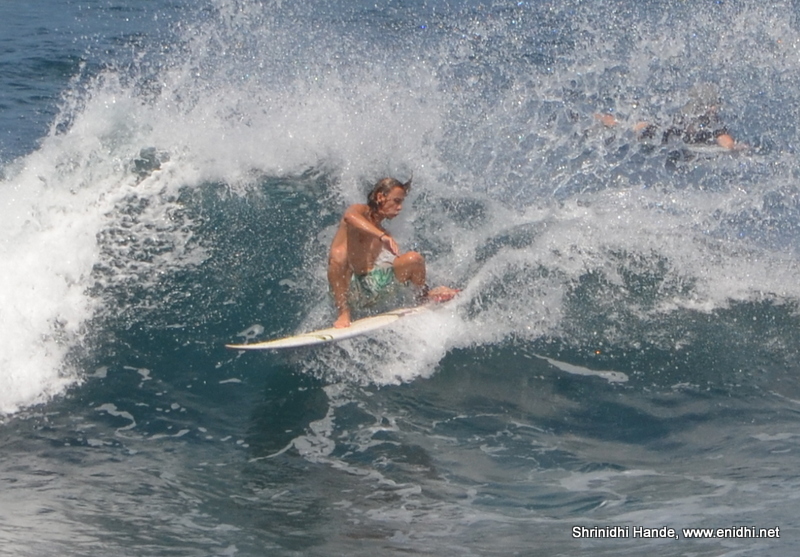 Below are some photographs I clicked that day at the Blue Point Beach, South Bali. Hope you like them. 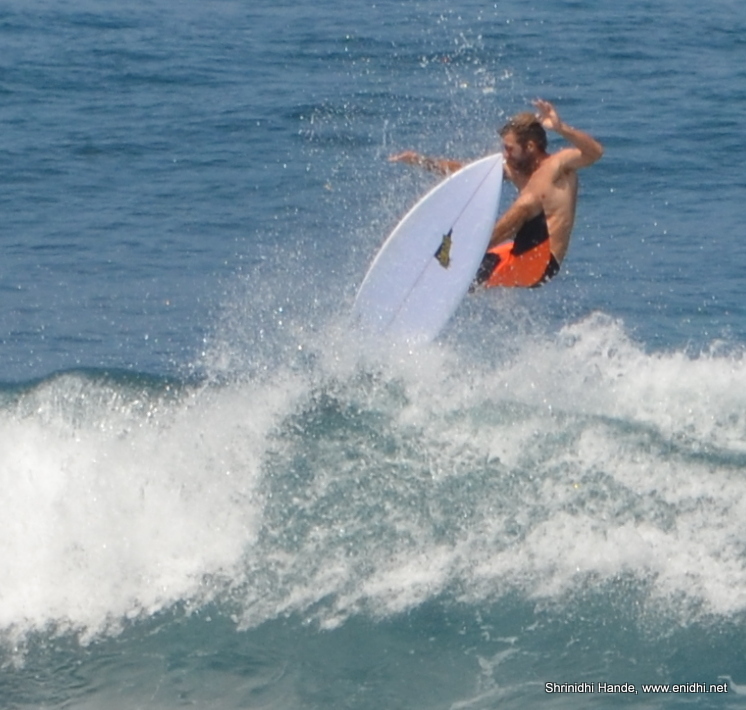 There are many operators in Bali who can train you on surfing. I checked one such flyer- of Hard Rock Hotel, Kuta beach, the costs for a proper training would add up to about 5.7 million rupiah (About 35000 INR or 500 USD)- sum total for 4 levels. First two levels, which is just 3 sessions cost about 2 million IDR. For a moment I thought about checking it out- but then decided against it. May be for future. Good to know about the place, i have interest for surfing, may be one day will try. Great to know- do try. Awesome place, How you managed to click these awesome pictures? 300 mm lens, mini tripod, sports mode..
Wow that is expensive for sure! great pictures i need to go to Bali to see this.